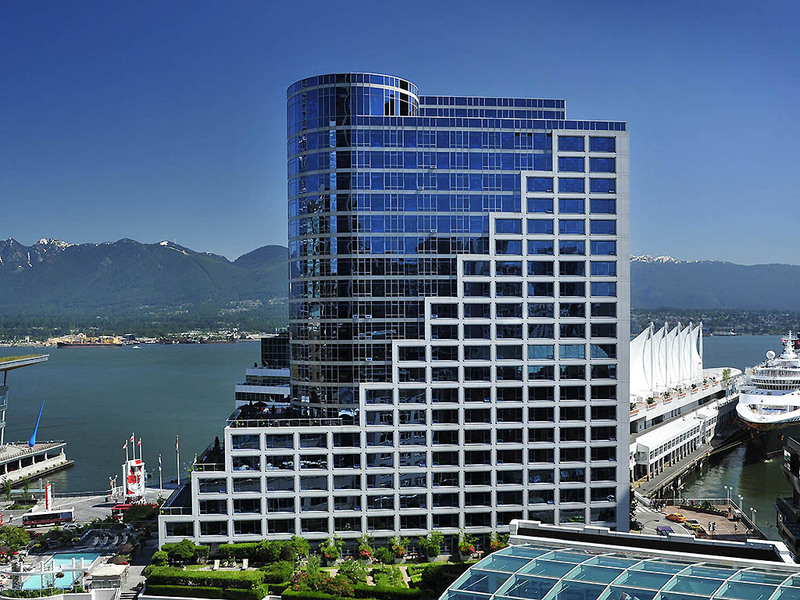 Located on Vancouver harbourfront, Fairmont Waterfront provides relaxed luxury. Offering stunning water views of the inner harbor, coastal mountains, Stanley Park and sparkling city skyline, guests will be at the heart of all this vibrant city has to offer. The hotel is connected to the Canada Place Cruise Ship Terminal and the Convention Center and is is just steps away to everything that makes Vancouver spectacular. Central to everything, Fairmont Waterfront is your gateway to explore the region. All rooms include: 24 hour In Room Dining, flat screen TVs, Wi-Fi Internet access, pillow top beds, in room safes, Le Labo bath amenities, terry cloth bathrobes, stocked mini-bar, windows that open to the exterior. Air-conditioning with individual climate control, express video checkout, in room movies, two phones with voice-mail, coffee and tea maker - selection of teas, hair dryer, iron - ironing board, alarm clock-radio, recycling boxes. ARC offers simply inspired, handcrafted fare presented in a relaxed West Coast setting. Sample Chef Karan Suri's seasonal tasting menus or try a little bit of everything with our ARC Boards designed for sharing. This uniquely curved space offers a sensational bar, which is the vibrant hub for meeting old friends and new. Check out the chalk board for Chef's picks, pair them with local craft beers, world-class wines and cocktails mixed to perfection. Fina bekväma rum. Bra tyst luftkonditionering. Dear Mr. E., Thank you for completing a survey following your recent stay at Fairmont Waterfront. Your feedback is very much appreciated as it helps us to both recognize great service, and ensure we continue to improve. We hope to have the opportunity to serve you again in the near future. Sincerely, Grace Camacho Executive Assistant Fairmont Waterfront 900 Canada Place Way Vancouver, BC Canada V6C 3L5 T + 1 … 1801 F + 1 … 1999 gr… fairmont.com/waterfront-vancouver Think before you print. Help us reduce our environmental impact.